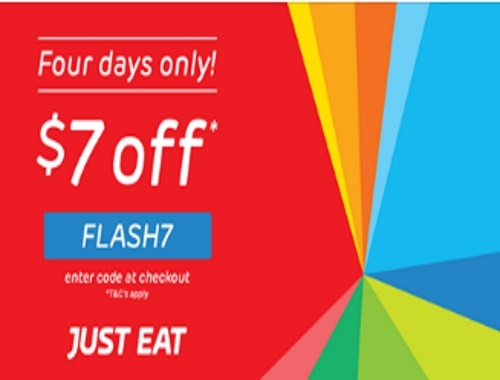 Just Eat has a Flash sale on now! Save $7 off your online food delivery of $40 or more! Enter the promo code FLASH7 at checkout. Offer is valid for four days only until January 22 2017.